In 71 countries it is a crime to be gay; in 10 it can cost you your life. 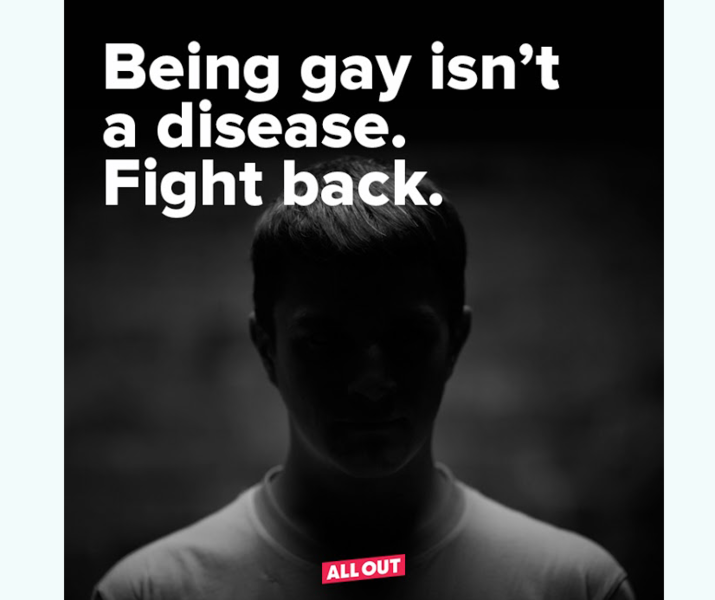 All Out is building a world where no person will have to sacrifice their family or freedom, safety or dignity, because of who they are or who they love. 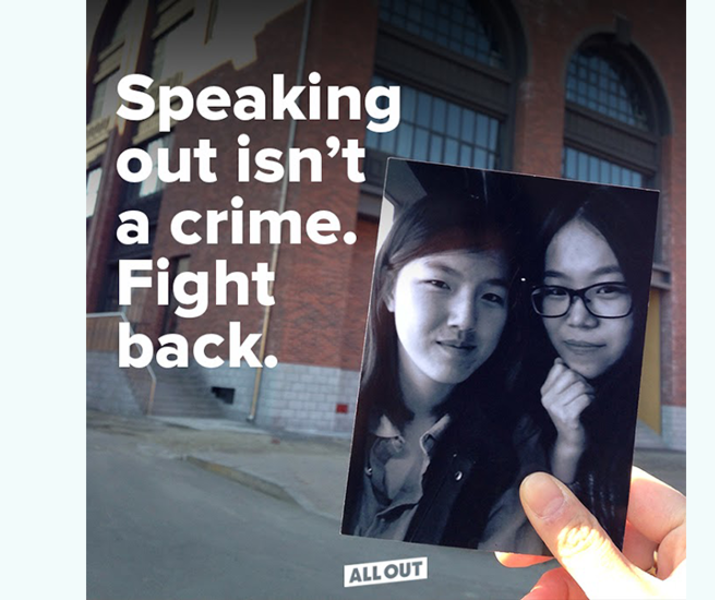 All Out is bringing people power to the global movement for love and equality. 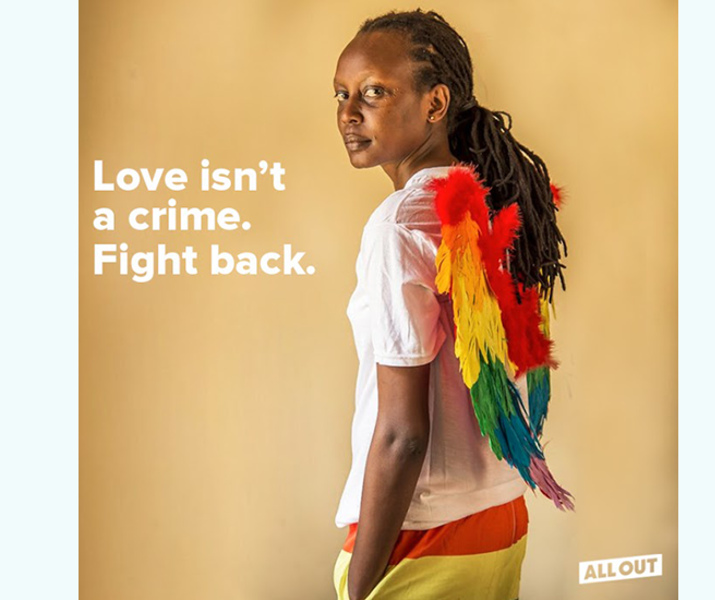 We petition world leaders and global organisations while using creative tactics – online and offline – to advance the fight for the rights of lesbian, gay, bi and trans people.